Translation: Kazunari Hongo. 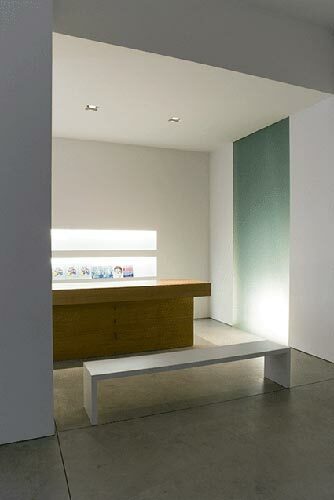 On November 2007 opened a brand new space in Milan, very close to the old one, in Isola art district. New space has been designed by architect Claudio Silvestrin (who conceived many other relevant art galleries such as Fondazione Sandretto Re Rebaudengo in Turin, Victoria Miro London, Saatchi Gallery and White Cube new London spaces) and offers 500 sqmt for cutting edge exhibitions and documentation needs. Their Beijing space has been one of the first western Gallery to be opened in Beijing art district and is currently directed by well known curator Eleonora Battiston in collaboration with curator and chinese contemporary art critic Claudia Albertini. Their represented artist and curatorial collaborations includes not only some of the most important Chinese and Asian artists but also american relevant artists (such as Chris Johanson, Barry McGee and Phil Frost) and european talents as well.